Welcome to 2018! 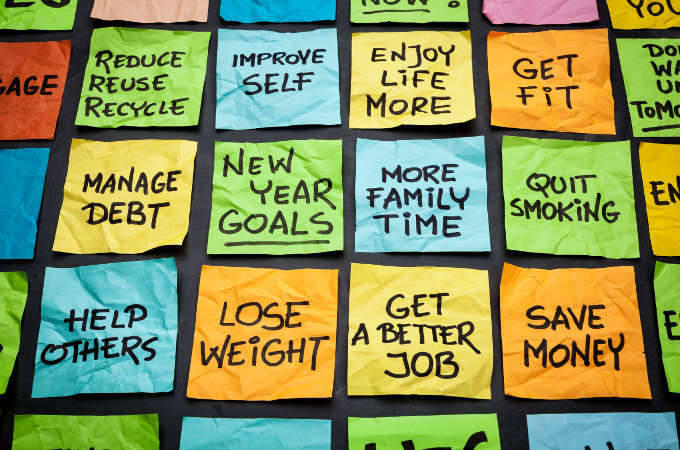 Whether or not you’re the type of person who makes New Year’s Resolutions, the beginning of the year is always a good opportunity to take stock of what’s gone well (or not so well) in the past year. Many people use the time between Christmas and New Year as a period of reflection, and to formulate a plan of action for the months ahead. Fresh energy in January is a great idea to spur you on to make improvements in your life that can really benefit your mental health. But while it’s tempting to get carried away on a wave of ‘new year, new you’ initiatives, don’t forget that most New Year’s Resolutions will have failed by February. If you do decide to make an action plan for 2018, you need to give yourself the best chance of success. Focus on doing something new rather than giving something up, to keep motivated. Choose small positive changes that will benefit your confidence and keep the momentum going. Here are 5 practical tips that can make a positive difference to your mental health in 2018. Make it a habit to write down 3 positive things that have happened to you each day. These don’t have to be major events, they can be small things such as ‘I went for a walk in the park’ or ‘I met up with a friend for lunch’. Training to look at the good things that happen every day help to cultivate a positive mind set, which in turn will benefit your overall mental wellbeing. Learning to meditate is a fantastic way to give your mind some much needed downtime. It’s not difficult to learn, and nor does it need to take up much time. If possible, try to fit 2 sessions into your day, even if it’s only 5 minutes each. If you’re not sure how to get started, you may find it helpful to use an app to teach you the basics and guide you through your meditation. There are plenty of free ones available including Calm, Inscape, Headspace, Buddhify, Simple Habit and The Mindfulness App, making meditation accessible to everyone. The new year is a great time to start a new hobby or revisit an old one. If you’ve always wanted to play the piano, learn Spanish or take up hill walking, now is the perfect time to do it. Not only will learning a new skill be a confidence booster in itself, it will give you something to look forward to during the week and a chance to meet other like minded people. Just remember to focus on enjoying the experience, rather than letting it become yet another pressure to achieve. While practice does indeed make perfect, it may be the journey rather than the destination that gives you the greatest pleasure. If you work long hours, juggle work and family commitments and generally lead a busy lifestyle, it’s important to take time out just for yourself. That way, you can recharge your batteries ready for the next day, able to perform to your best ability. Being tired, stressed and permanently exhausted is no good for your mental health, your relationships, career or overall wellbeing. ‘Me time’ doesn’t have to mean an expensive holiday; it could be something as simple as soak in the bath and an early night, getting lost in a good book or a trip to a favourite art exhibition. The important thing is that you get to relax. If it feels as if everything is getting on top of you and you’re struggling to cope, you might benefit from professional support. Asking for help doesn’t come naturally to most of us but it can be an important first step to help you get better. The KlearMinds team consists of experienced counsellors that are highly trained in a range of therapeutic approaches including counselling, psychotherapy, life coaching and cognitive behavioural therapy. We provide advice for a wide range of issues and can help you achieve fast, effective and lasting change. If you wish to make contact, why not email us in confidence today?